Are you a producer or filmmaker who is faced with the challenge of raising money for your next project? Are you unsure how your project or production company can make sense to investors? Are you a lecturer trying to expose students to the ins and outs of the business side of film? Or maybe business jargon gets you tongue-tied? 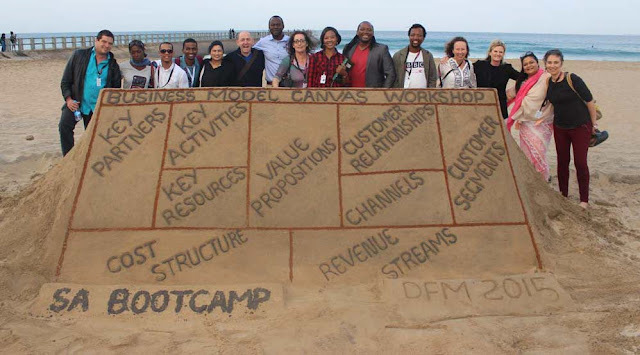 If any of the above applies to you, the Business Model Canvas Workshops are for you, regardless of whether you’re starting out with your first independent production or a seasoned producer with a trail of credits to your name. "It simplified the business of filmmaking." "The tool was very easy to adapt and very focused." "It has made me think out of the box regarding my project." 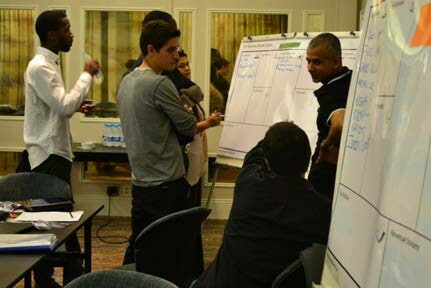 "The exercises allow you to realise alternative opportunities in your business model." "Great perspective into my project by other 'attendancers' and a good understanding afterwards of the BMC tool." After the swift uptake of the canvas in 2015, the DFA continues on its mission to bring this empowering tool to more South African producers. The easy-to-use visual tool helps you map your project or your company in a language that makes sense to people who can give you the financing you need. The Documentary Filmmakers' Association in partnership with the Canadian Film Centre (CFC) Media Lab and the Durban FilmMart are hosting two full day workshops on the powerful Business Model Canvas Tool for South African filmmakers. FilmMart and tie into industry events at the FilmMart. The Business Model Canvas is a powerful visual tool that helps filmmakers plan projects. The workshop team will lead you through a series of exercises to help you identify your specific business models and provide a blueprint for current and future projects. At the end of the workshop you will be able to identify the different elements of your business model and integrate them to enhance your work, your company, and the products you deliver. You will also be able to extract key points to be able to deliver a 30 second pitch to investors. You have at least one credit as either Producer, Director, or Writer (doc, short, fiction). Describe the project for which you are currently trying to work out the business model. Briefly describe your business approach for your proposed project: finance plan, resources, customers, distribution channels and potential revenue. 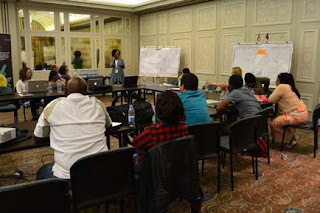 You are able to cover your costs to attend the workshops at the Durban FilmMart. NB! Only one member per organisation will be considered. APPLICATION DEADLINE: 25 FEBRUARY 2016 AT 17H00. PARTICIPANTS WILL BE NOTIFIED BY 28 MARCH 2015.